Originally published on Design Engine. Over the past few years, it has become known and acknowledged that Dyson is planning to enter the electric car arena with what it describes as innovative, forward-thinking products that will rethink and refashion ground transportation both technologically and in terms of aesthetics. Much like Tesla, Dyson is very heavily defined by its founder and owner James Dyson who has in the past few decades made a name for himself and his company for innovations starting in the vacuum cleaner space that have since evolved into new and better ways of creating everything from table fans to hand dryers. The combination of leaked documents a few years ago, along with the purchase of solid-state battery firm Sakti3 and its more recent plans to revamp an old Royal Air Force airfield into an electric vehicle test track, have long shown what was in motion. This has resulted in most of the industry viewing both the Dyson and Apple electric car programs as two of the worst kept secrets in the entire EV space. The current facility already has two renovated hangers and work on three additional buildings will be completed in the coming months. In addition, Dyson intends to build over 10 miles of test track and include various terrain and topography to simulate different driving conditions. The present 400 workers on the facility will be expanded to accommodate over 2000 people by next year. The cost of the first phase of renovations cost over $100 million. The second phase, inclusive of the test track, will cost a further $150 million. While some might dismiss James Dyson’s incessant drive for an electric car as Me-tooism, there are valid reasons to take a Dyson electric car seriously. In effect, Dyson has been innovating exciting new and improved products with electric motors for decades, while you could say Musk and company have in the past few years stolen their thunder. Dyson has a long history of bringing to market numerous products that have featured new and improved electric motors that were typically more powerful, more efficient, and quieter than those that preceded them. This, in turn, would bode well for the production of electric cars where electric motors are integral to the powertrain, but also overlooked are how many electric motors are present within most cars inclusive of power windows, fans, and liftgates. Furthermore, Dyson has at its disposal over 4000 engineers, many straight out of university who are encouraged to brainstorm with unconventional engineering approaches in an effort to foster a culture of innovation and forward thinking. Dyson himself had articulated why the simple and accepted idea of the windshield wiper could more effectively be replaced by jets of air that would consistently sweep away water that might otherwise accumulate on a car windshield. Like many industrial designers, inclusive of Lovegrove and Rashid, have for years articulated the need to rethink and reinvent even the most basic design aspects of the automobile, and that the arrival of the electric car will allow for an unprecedented freedom and creativity in the design of the shell of future vehicles. 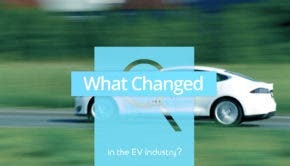 Even established car designers such as Henrik Fisker and Ian Callum have stressed the need for a dramatically different approach when designing electric drivetrain cars with a greater emphasis of aerodynamics and cab-forward profiles now more possible due to the relatively small imprint of electric motors. While the jury may still be out on whether the purchase of solid-state battery manufacturer Sakti3 was a boon or a bust, it seems likely that they do have some 64 patents, some of which might give them a leg up in the race to mass market a viable solid-state battery in house. On the other hand, this could still be several years away. Another strong suit is that Dyson has a tradition of making all its parts in house and not being as dependent on parts suppliers and outsourcing. Dyson also has the capability to produce lightweight high-tensile-strength carbon fiber parts which will give them a leg up on both legacy and startup manufacturers. In the meantime, it seems more likely the debut proof of concept vehicle Dyson is striving to bring to market by 2021 will likely be lithium-ion powered and very likely in the 6 digit figure range. They will follow this initial vehicle with two additional vehicles which will be higher-volume cars aimed at the mass market. Looking at the recent Jaguar I-PACE and juxtaposing what Dyson is likely to achieve in the next few years, these two seminal firms are well positioned to lead the UK auto industry towards a clean, quite emission-free future.